This section brings together some items of memorabilia collected by members or handed down by families of soldiers. 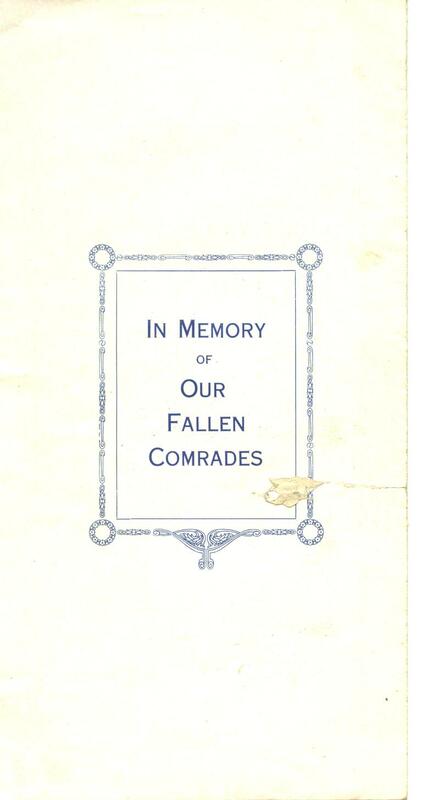 A number of copies of this still exist. 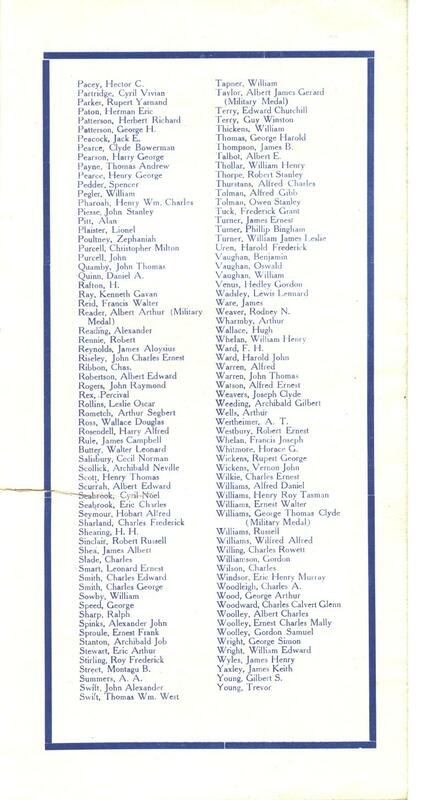 Professionally printed and including the names of all those for whom trees were planted on August 3rd 1918 from both Hobart and New Town. 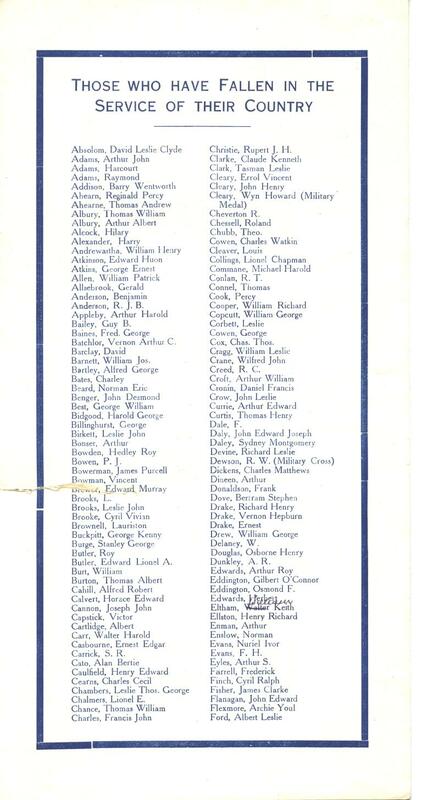 These items have been reproduced with the permission of Roslyn Budd and the Eltham family. Keith Eltham was a well-known local sportsman and cartoonist who worked in the City Engineers Department of the Hobart City Council as a draughtsman. 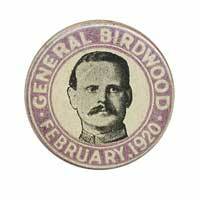 He enlisted in August 1914 and joined the artillery where his technical skill with a pen was put to good use. He served on Gallipoli and then went to France where he was killed in action on Sunday 31 December 1916 by a sniper's bullet through the heart. 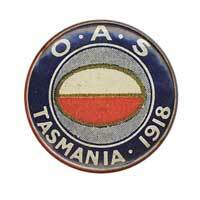 Before enlisting he had represented Tasmania in cricket playing against England, South Africa, Victoria and New South Wales. He also rowed. Before he left he put together a collection of pens, inks and paints as well as small sketchbooks. 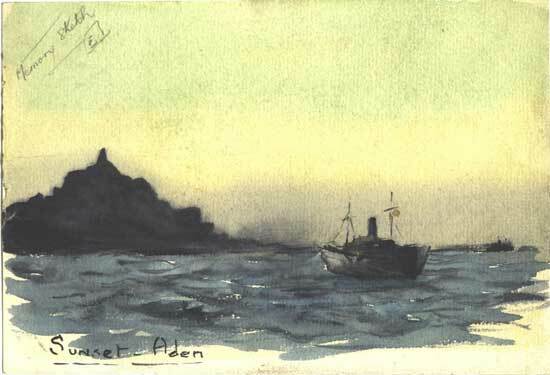 While in London he also purchased an elaborate paint box for watercolours that is still in the possession of the family. 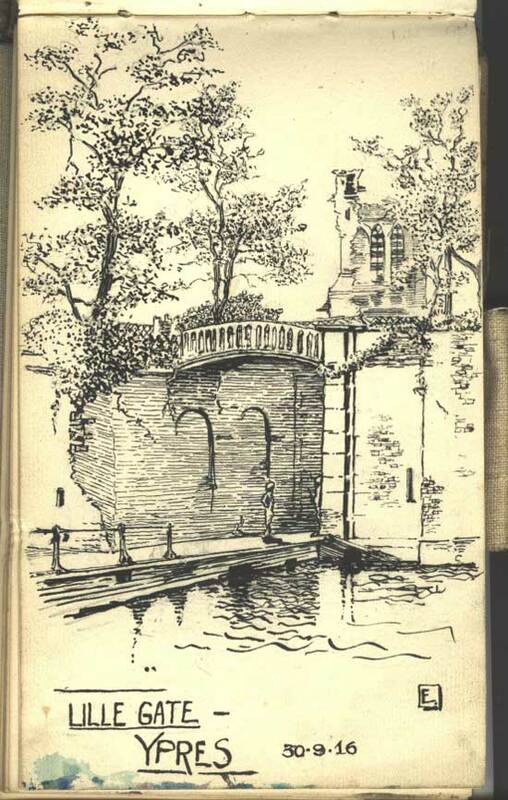 Most drawings and paintings were done in books that fitted snugly in a jacket pocket. One of these books still bears a bullet imprint from when he was struck by a spent round: the outer cover and pages are ripped, those deeper in indented by the impact. A later bullet went through another pad and killed him instantly. 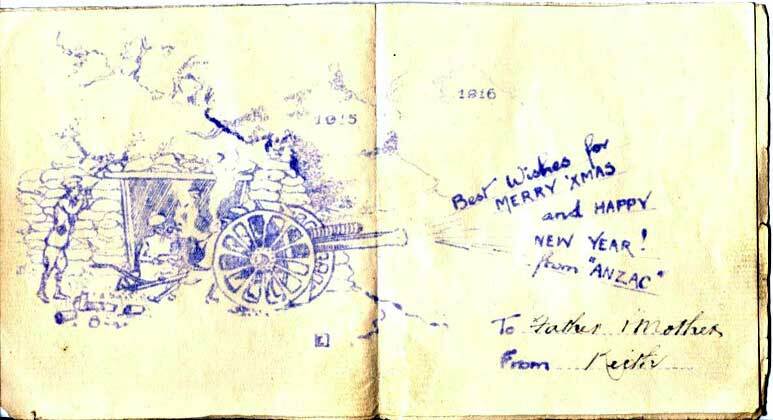 Among the drawings and sketches are a number that were more than merely musings but served the practical purpose of marking aiming points for artillery firing off the map. Lt Eltham as a forward observer would call the fall of shot and correct ranges using these handy references. 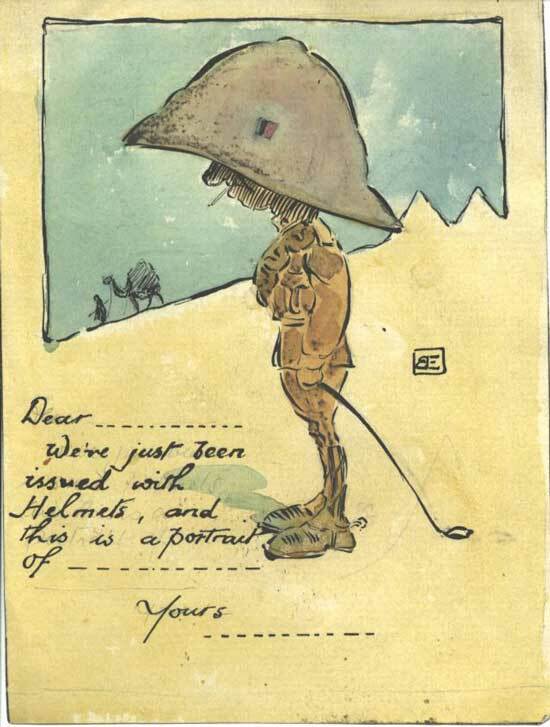 This is most clearly seen in the Gallipoli sketch and the Melbourne Mansions watercolour. 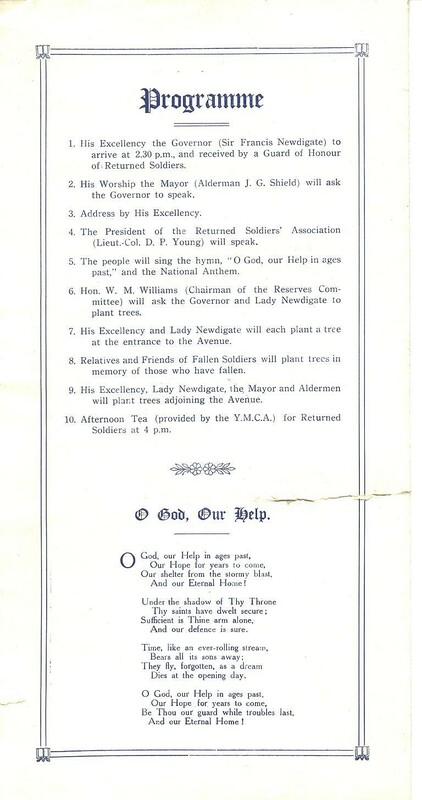 This selection includes the badge produced in 1918 to publicise the planting of the Soldiers Memorial Avenue originally planned for July it was delayed till August 3rd . The graphic is quite striking and well balanced and serves as the logo for Friends of Soldiers Walk Inc.
Called in full the Mothers and Wives Soldiers and Sailors Association and its counterpart the Fathers Soldiers and Sailors Association were active in creating the Avenue and were its unofficial guardians through the 1920s and 1930s organising working bees and pressuring the Hobart City Council on maintenance issues. The RSSILA badge dates from the early 1920s. The RSA/RSSILA was prominent in pushing for the creation of the Avenue and its State Secretary George Foster is the subject of many photos allotting sites and overseeing proceedings with the rest of the Committee next to the Boer War memorial. Thanks to D Barnett and A Howard for these images. 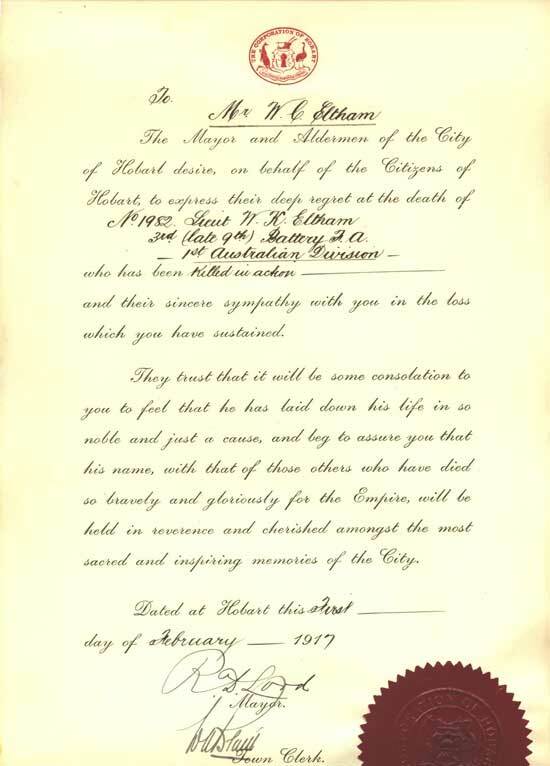 It was common around Australia for municipal and city Councils to give Certificates of Appreciation to returning soldiers. 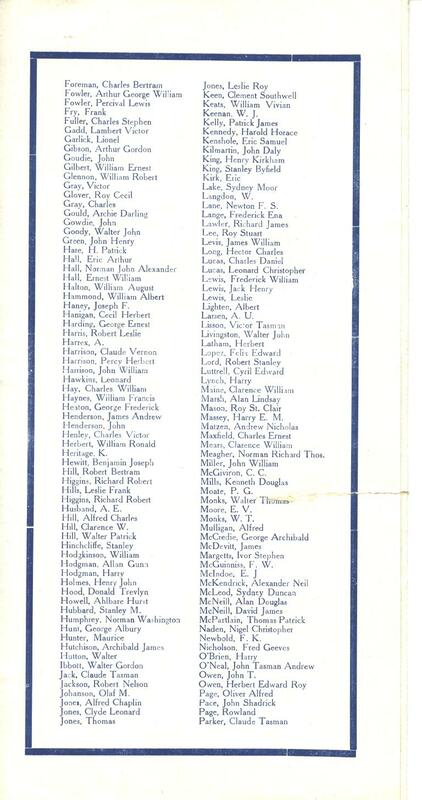 Less common is the printed 'statement of regret' though most Councils sent letters of condolence, this printed statement gives an idea of the effect of large casualties in large centres as city Councils coped with logistics of offering condolences to hundreds of families. 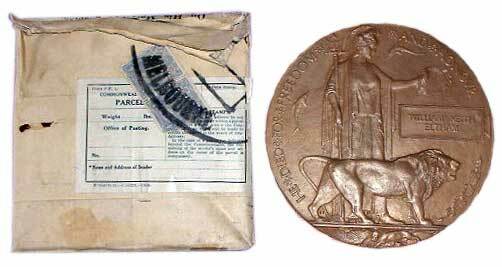 Families also received a brief memorial statement from the King and the memorial medallion or 'deadman's penny' as it was commonly known.